Have you been trying to sell your home for months, or even years, without success? You’re certainly not alone; did you know that only half the properties on the market last year actually sold? Did you decline an offer in the first month or so that, in hindsight, you now would take? It’s a familiar story. In fact, around 75% of sellers who contact us would now accept that offer – gladly – and now regret having rejected it. 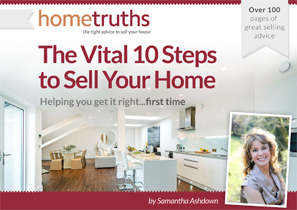 A property is never more desirable than when it first goes onto the market. The initial flurry of interest can even occasionally generate an offer in excess of the asking price, such is the draw of a newly-marketed home. 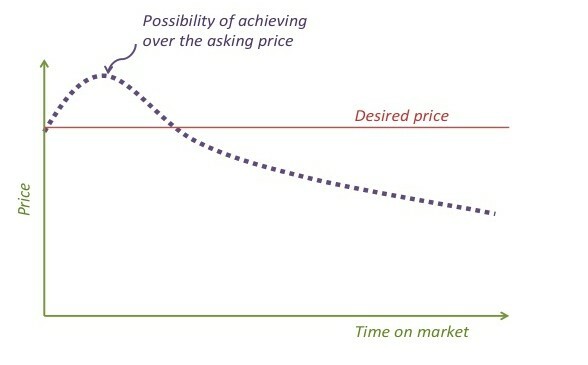 The interest curve for those all-important first few weeks looks something like this. However, once all the buyers who have been searching for a while for their next home have seen it, then it’s only the new buyers coming to the market who are around to show any interest, and this may be only a handful a week, at best. This just isn’t sufficient to instill any sense of urgency in a buyer, who may view 15 – 20 or more properties before making an offer on one. 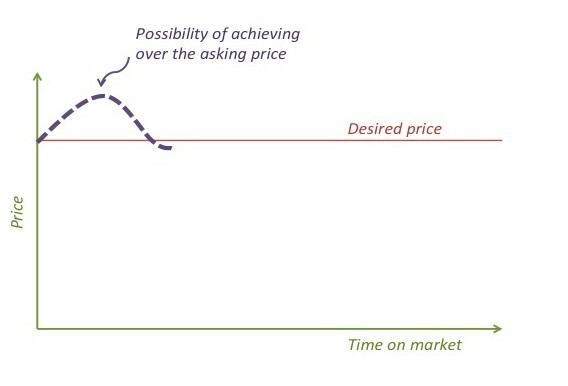 If you drop your asking price, and keep dropping it in an attempt to counteract this downwards trend of interest, all you’re doing is ‘chasing the market down’, in effect. 2. If you’re several months (or years) down the line, you need to break the vicious cycle that is no one wants a house that no one wants. Take it off the marketcompletely for at least two months, and preferably up to six months. 3. Re-launch at the right time of year for your property, ie at the time of year when your buyer is most likely to be searching. 4. Don’t scrimp on your re-launch: engage a professional home stager, commission a professional photographer, and choose a proactive agent who believes in quality marketing. 5. If you get an early offer when you go back to market,take it! Within reason of course…. As a general rule of thumb, anything in excess of 85% of your asking price is definitely worthy of consideration in this market, and over 90% is a terrific offer.